Young Koko has just moved with his parents from his idyllic countryside home to a big city. There, with the help of his new friends and a neighbour he investigates the mysterious case of a dead old man who used to live in the flat he has just moved into. 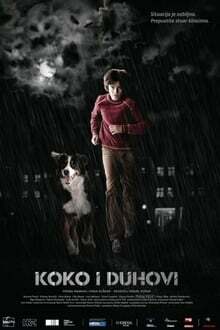 Koko and the Ghosts is a family film based on a popular Croatian series of young-adult novels written by Ivan Kušan.